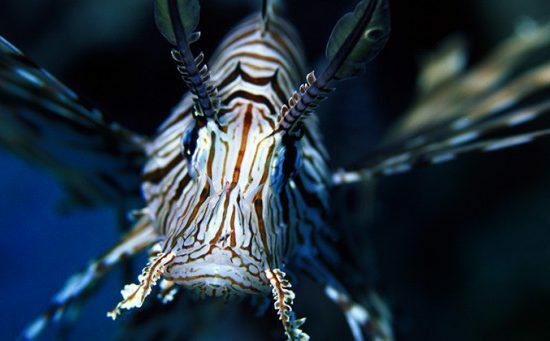 Look but don’t touch should be a solid mantra for every diver, and if preventing distress to marine life wasn’t already a good enough reason, take a look at this list of creatures that pack a nasty punch for those who dare to mess with them…. 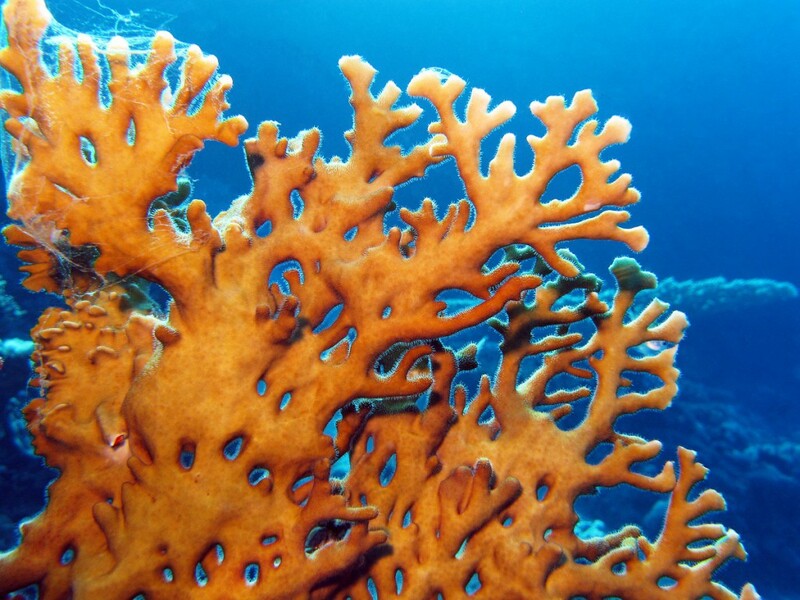 Despite its name and the way it forms part of reef structures, fire coral is more closely related to jellyfish. It’s covered in long, fine hairs with stinging cells which are almost invisible to see but, if brushed against, will deliver anything from a mild irritation to a severe burning sensation to the skin. 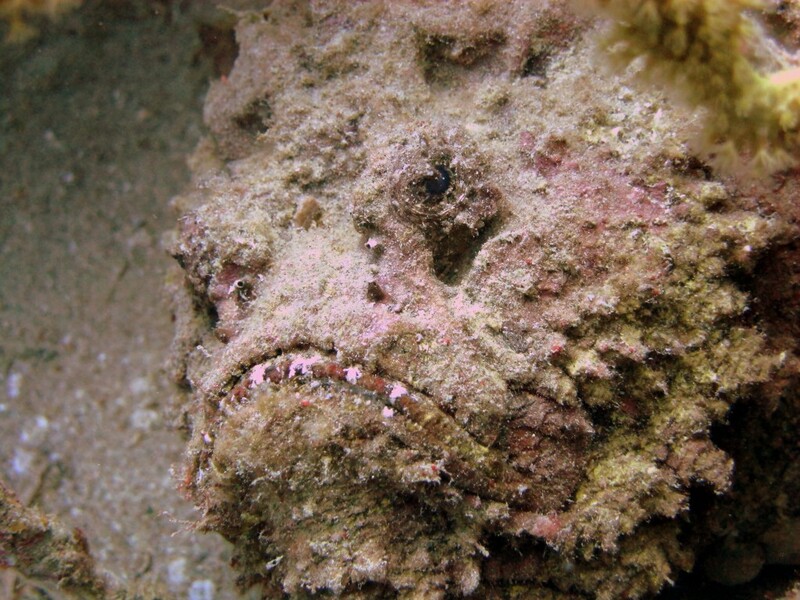 The stonefish is the most venomous fish in the ocean. What makes it worse is that it’s a master of camouflage; many victims have mistaken them for a rock. 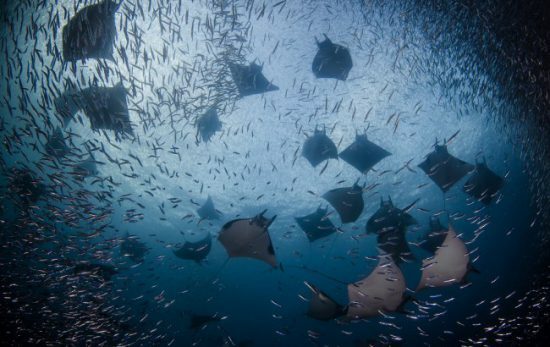 The venom is injected from spines in the dorsal fins (the amount of which depends on how much pressure was applied) causing agonising pain for several hours, and in extreme cases, paralysis, shock or even death. Regularly cited as one of the most dangerous animals on the planet, the chironex fleckeri box jellyfish (aka the sea wasp) has enough venom to kill 3,000 humans within 3 minutes. Even scarier? 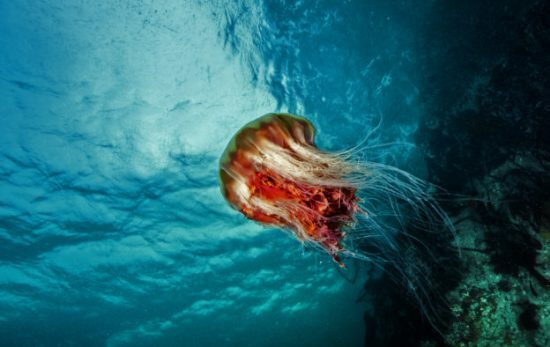 This deadly jelly can have up to 60 tentacles that grow to 5 meters long and can be almost invisible to see. The pain is said to be so bad that victims can suffer fatal shock or heart failure before they get treatment; those who survive will have resulting scars from the contact. 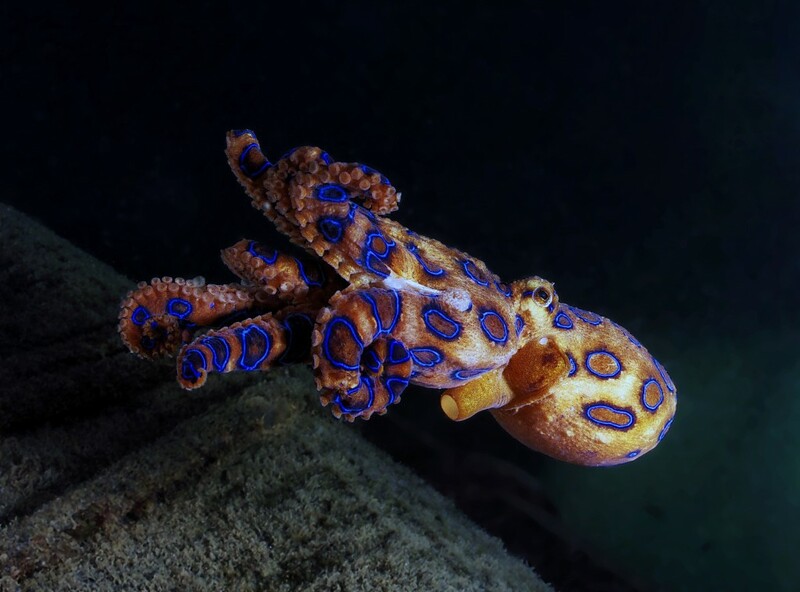 The blue-ringed octopus may be small (no more than 20cm) but don’t let that fool you: its venom is 10,000 times more potent than cyanide and can kill a person (in fact, several people) within minutes. When disturbed, this cephalopod’s blue rings will flash brightly to warn you. If it bites, you won’t even feel it, but the venom enters the wound through saliva causing numbness, paralysis, respiratory failure and even death. 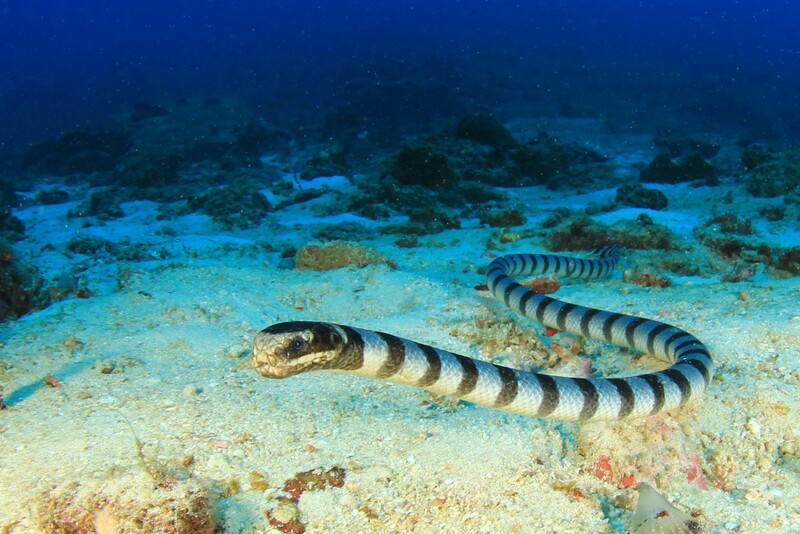 Sea snakes can deliver a dangerous bite that’s even more toxic than their land-based counterparts. Generally they are non-aggressive and only attack if provoked, but a bite will result in stiffness, aching and localised pain after about half an hour, leading to nervous system problems and eventually respiratory paralysis. With the absence of big teeth, tentacles or hard shells, nudibranchs have a different – and clever – tactic for staying safe. 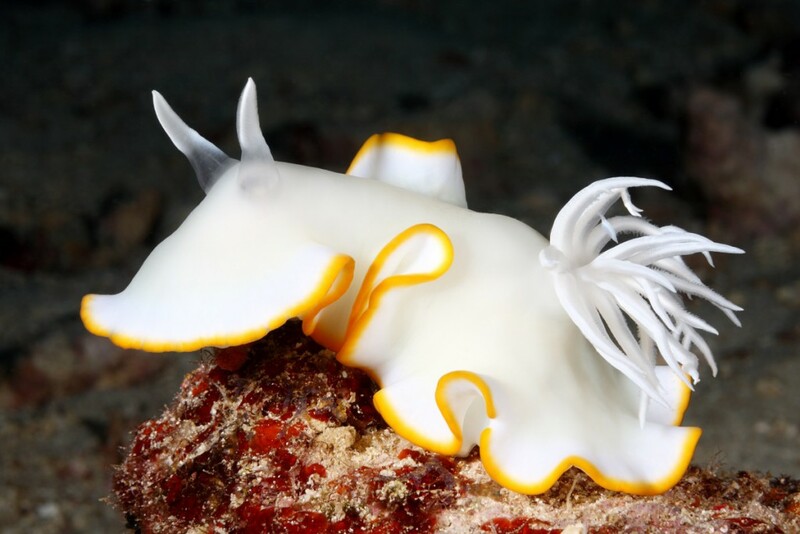 Although some can generate their own chemicals, many nudibranchs will store the toxins and stingers from poisonous sponges, corals and other organisms it feeds on, releasing them at will in times of peril. 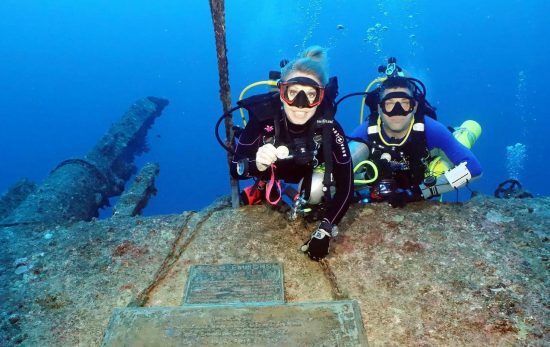 The good news is that these colourful little critters wouldn’t pose any threat to divers. Also known as a blowfish, these creatures try to make themselves unappealing to predators by ingesting water and swelling up to several times its size. 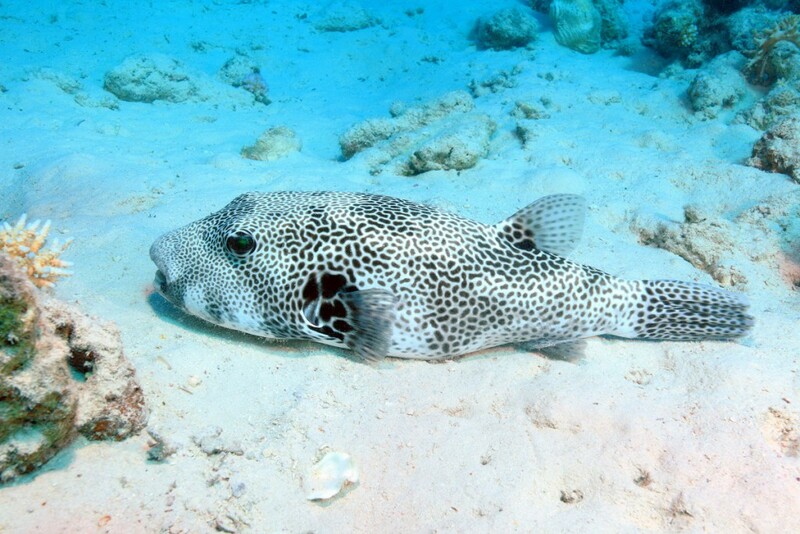 Although a pufferfish can’t inject its poison, predators that eat this critter will get a nasty shock; there’s enough tetrodoxin contained within a pufferfish’s body to cause vomiting, paralysis, heart failure and death for 30 adult humans. Although they might look harmless, this snail is another of the world’s most dangerous animals. They have hollow teeth which they use to inject venom after harpooning prey – usually mollusks – and these teeth can reach most parts of its shell. 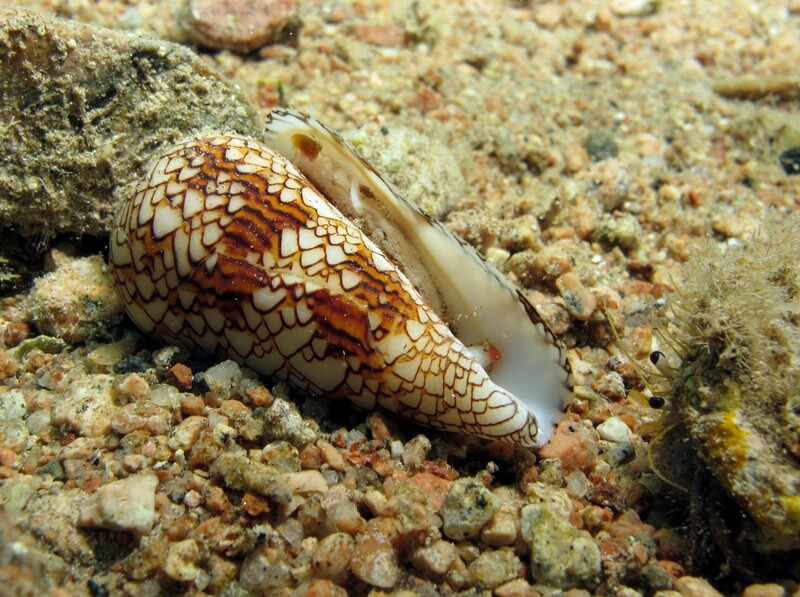 The venom from a cone snail causes pain, swelling and tingling and in severe cases results in paralysis, respiratory failure and death. If you’ve been bitten or stung by any of these toxic creatures, seek immediate medical assistance. 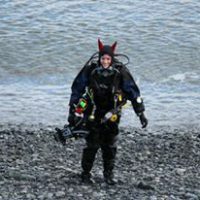 The Emergency First Response (Secondary Care) course will teach you how to deal with a variety of marine life injuries – find your nearest course today. 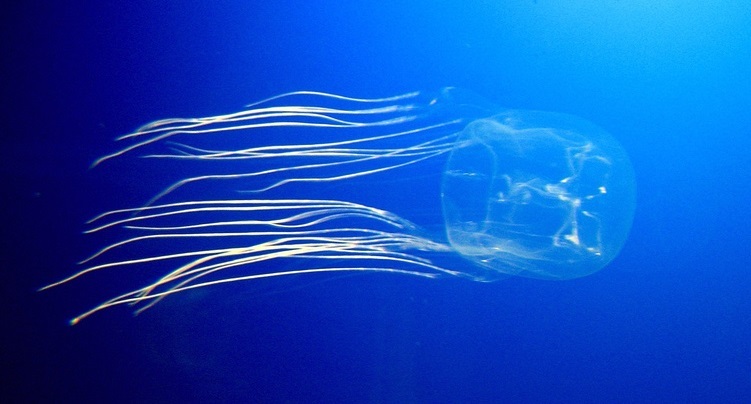 You’ve Been Stung by a Jellyfish – Now What?